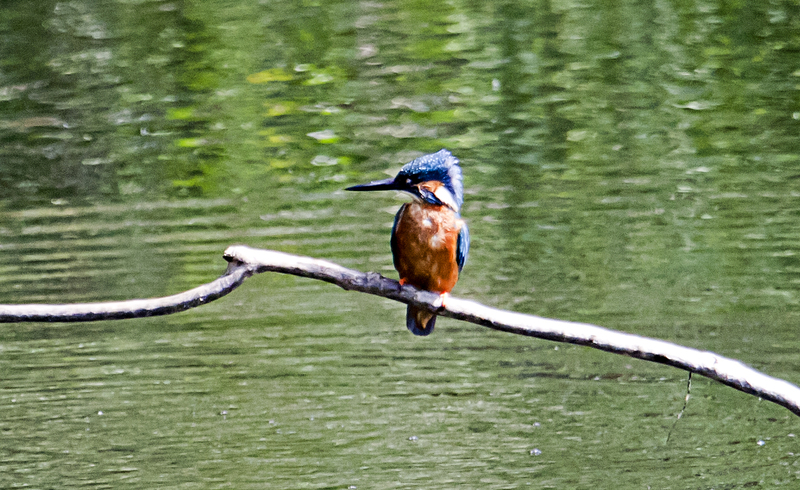 Where to watch wildlife where to see kingfishers in the brecon beacons? can anyone help me...it is a long way to go so I want to narrow my search aa much as i can for obvious reasons!! I would Google wildlife reserves in your immediate area, then look at all of the ones that come up to see if Kingfishers have been reported seen at any of them. If necessary you could make contact with them all and ask. One last thing you could check is how far from you RSPB Rye Meads is and if you ever find yourself going in that direction you are almost guaranteed to see them there. The majority of the larger rivers in wales have kingfisher, I would suggest you find an area you would like to stay in and then find the nearest largish river, and then track down recent sightings. It's both what you do and the way that you do it! Not too far away from where I live although I am across the border in England. I've played cricket in Crickhowell and its a lovely place. I'm sure if you spend enough time on a decent size river in the area you will see some. I've seen them on the river in the centre of Hereford. If all else fails you could hook up with part of the Wye Valley walk or even visit Symonds Yat where there is a boat trip down the Wye - I saw one there this time last year. Also get the bonus of seeing the peregrines up on Yat Rock too. I'll keep an eye out on the Hereford Ornithological Clubs sighting pages and let you know if there are any reports. I'm not bald. I've just got ingrowing hair! Seriously recommend Symonds Yat .. plenty of hostels to stay in there if you want somewhere to lay your head. I was in Brecon yesterday and a great spot for kingfishers, and the heron is in the morning from dawn. Just by where Afon Tarell joins into the River Usk. There’s a small footpath that runs along the Afon Tarell and you can spot the Heron usually on the bend into the Usk and the kingfisher darting to and from perches along this little stretch. Saw it at about 10am flying around. Wouldn’t sit still long enough for me to get a photo but always lovely to see.